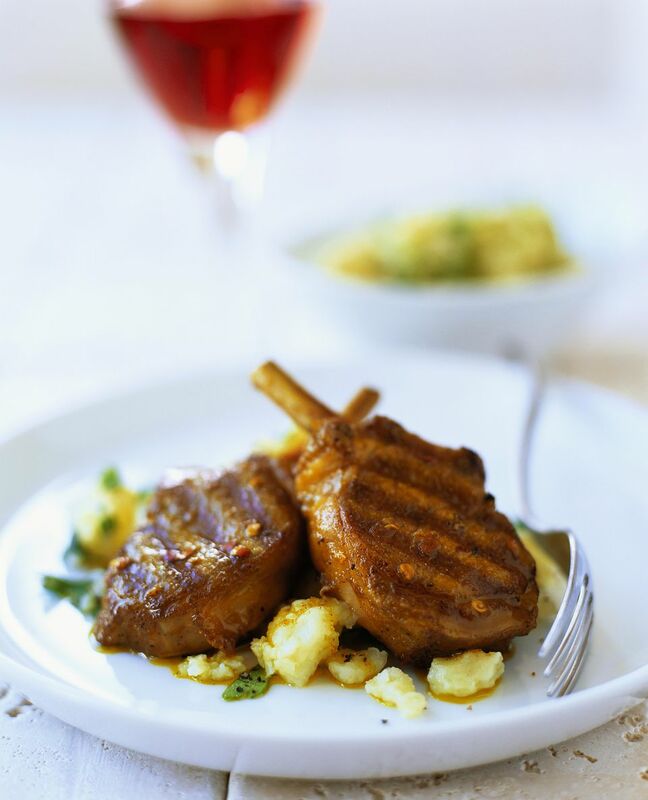 Place these lamb chops in their marinade the night before and you will be able to put tomorrows dinner together in a few minutes. Place all marinade ingredients in food processor and pulse until mixture into a puree. Place trimmed lamb chops into a resealable plastic bag. Pour marinade over top, seal bag and place into refrigerator for 12-24 hours. Preheat grill. Remove chops from bag and place onto grill. Cook on medium-high heat for 5-7 minutes per side, depending on thickness and once they reach an internal temperature of 145 degrees F.
Once cooked, remove from heat and garnish with a little parsley. Serve with rice pilaf.